Proving a negative is always hard, but Patrick Vlaskovits wrote a post for Harvard Business Review titled Henry Ford, Innovation, and That “Faster Horse” Quote in which he says No. Most other references on the web refer to this HBR post. So originally this was a hypothetical statement about Henry Ford that warped into being a supposed quote. 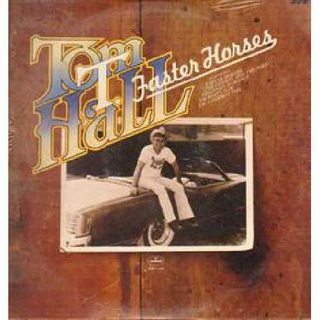 No, that was Alex Sheshunoff alluding to the song Faster Horses by Tom T. Hall. He said, "It don't do men no good to pray for peace and rain"
And buffalo chips is all that means to me"
Mr. [Alex] Sheshunoff:...we recently did a lot of market research on what bank customers really want from the banks they do business with. We asked them what they really wanted and what do you think is important, and what do you really want; and unfortunately, just as we were able to publish our market research, it was preempted by Mr. Tom T. Hall from Nashville, Tenn., when he said, faster horses, younger women and older whisky. Senator McIntyre. Say that again, faster horses, younger women and older whisky ? Mr. Sheshunoff. And more money. Not the answer you're looking for? Browse other questions tagged united-states quotes transportation . Did René Descartes say “People would get rid of half of their problems if they could agree on the meaning of words”?